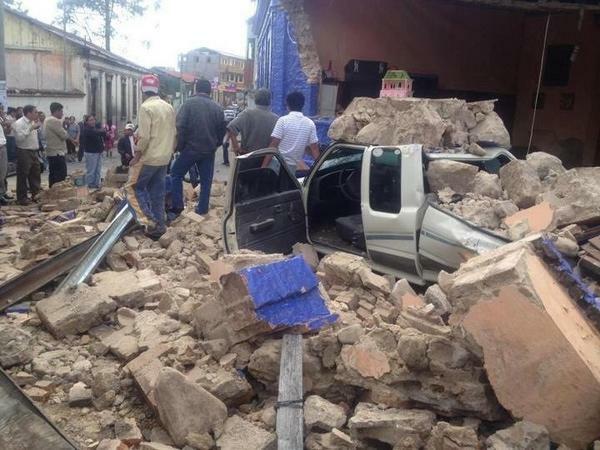 A strong 7.4 magnitude earthquake struck off Guatemala's Pacific coast on Wednesday, November 7, 2012. Twitter user Roberto Touchez (@RobertoTouchez) shares this image from San Marcos, Guatemala. The strong earthquake was felt in neighbouring El Salvador and Mexico. Netizens are sharing photos and reports using the hashtag #TiemblaenGuate on Twitter. You can see more photos in a Storify post by Prensa Libre.